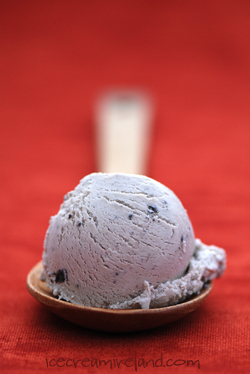 Here’s one of our favourite flavours that’s delighted people in our shops over the last 7 years. 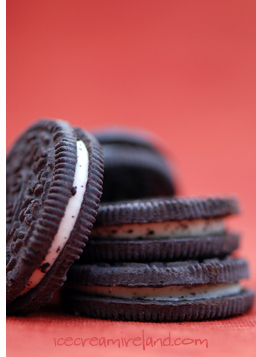 We use Oreos, but honestly, it could work well with any cookies that you like! Remove the vanilla bean from the milk. Whip the cream until it has doubled in volume (don’t over-whip!) and fold into the custard. 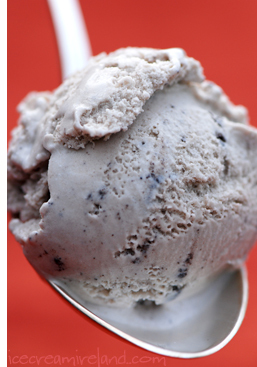 Freeze using a domestic ice cream machine, adding the cookies when it’s fairly solid. You can alsoÂ just cover and place in the freezer, stirring every few hours, and again, add the cookies when it’s reasonably solid. 1. The reason not to add the cookies to early, is that they can turn the ice cream an awful grey colour if they are mixed in too early! I actually cannot wait to see this in print! Glad you like it! Progess is being made! Oh my goodness, it already sound so yummy. Its difficult for me to find vanilla bean here. Can i substitute this with vanilla extract instead? And how much do i use in comparison with 1/4 vanilla bean?